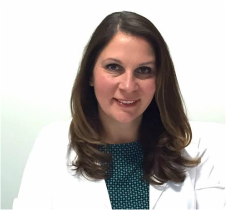 After graduating from New York University and St. George's University School of Medicine, Dr. Strozuk completed her Pediatric Residency at Maimonides Medical Center, and then her Adolescent Medicine Fellowship at Schneider Children's Hospital in the North Shore-LIJ Health System. She is board certified in both Pediatrics and Adolescent Medicine, and has obtained additional training through the Institute for Functional Medicine. She has held academic positions at the Mount Sinai School of Medicine and at Rutgers-Robert Wood Johnson Medical School. In her 15 years of practice, she has trained numerous medical students, pediatric residents and adolescent medicine fellows. Most recently she practiced College Health at Rutgers University before starting her private practice. In her spare time, Dr. Strozuk enjoys spending time with her family. She enjoys practicing yoga, and has a passion for clean living, environmental consciousness, and creating a healthier world for her patients, family and friends.